Capt. Joe Ezell said Delacroix is in the midst of an awesome redfish run — market bait or chartreuse artificials are both good bait choices. Capt. 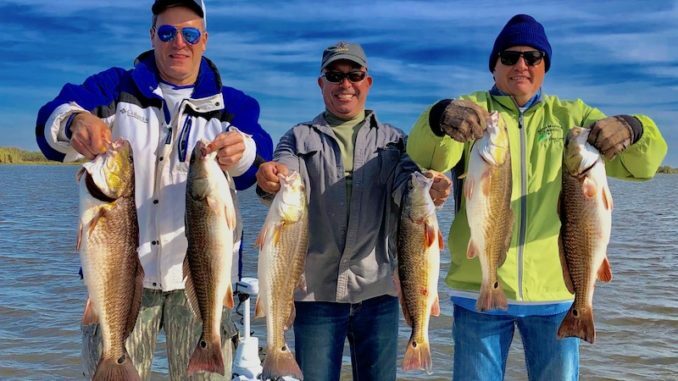 Joe Ezell runs his guide business out of the popular St. Bernard Parish port of Delacroix, and because of that, his job has been exceptionally easy in recent weeks: Delacroix is in the midst of a redfish run that began in the spring, and has reached almost absurd levels this autumn. “It’s been absolutely stellar,” Ezell said Wednesday. “That freeze we had last year caused a minor kill, but I don’t think it really affected them. “Over the last three weeks, I’ve had multiple charters where we’ve caught 15-20 (among) three or four guys, and then we’ve proceeded to catch and release at least that many. One day I was on the clicker, and we caught 120. The guys had blisters on their hands. 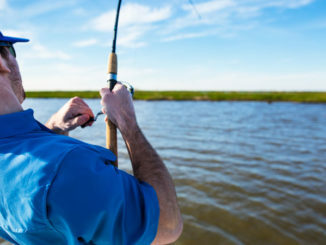 Catching them has been about as challenging as falling out of the boat, but that doesn’t mean anglers can just throw a dart at a map and fish there. They have to locate a few keys in order to have success, Ezell said. One other factor is absolutely crucial, and that’s submerged aquatic vegetation. Some of the most productive grass beds have been in Bay Ponton and the western section of Lake Fausan, Ezell said. To catch the fish, Ezell has been rigging his clients with live or fresh shrimp fished 2 feet under a cork. He said soft-plastic diehards can do nearly as well with Berkley Gulp. “For Delacroix, anything with chartreuse in it is the ticket,” he said. 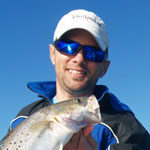 “If I’m throwing shrimp creole for trout, I’ll catch a few reds, but if I’m throwing glow/chartreuse, it seems like it’s a two-to-one redfish bite. Most of the fish Ezell and his clients have been catching lately are in the 18- to 22-inch range, but he has a warning for anglers who find smaller fish. The same is true for the 18- to 22-inch fish, Ezell said.